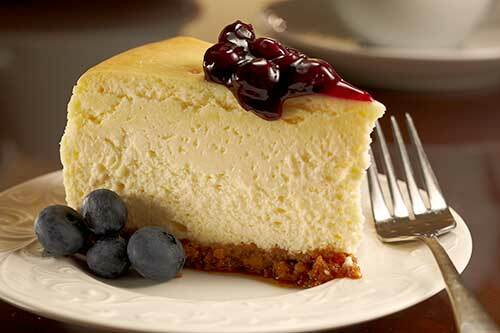 – Deescakes' traditional silky creamy cheesecake. Made to perfection with Philadelphia Brand cream cheese, Breakstone Brand sour cream, and baked into a real buttery graham cracker crust. 8" - Serves 12 to 15. 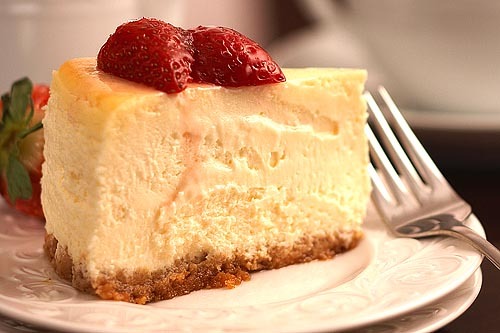 – Deescakes' traditional silky creamy cheesecake is topped with fresh strawberries and baked into either a real buttery graham cracker or chocolate cookie crust. 8" - Serves 12 to 15. 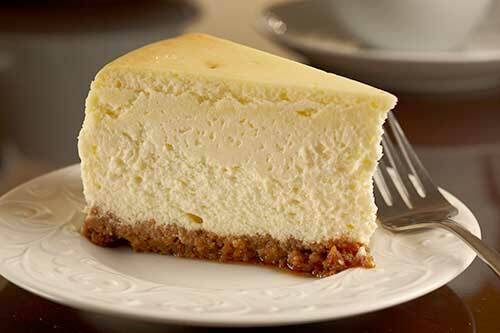 – Deescakes' traditional silky creamy cheesecake is topped with blueberry pie filling and baked into a real buttery graham cracker crust. 8" - Serves 12 to 15. 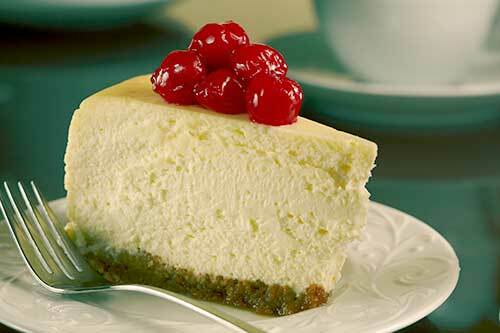 – Deescakes' traditional silky creamy cheesecake is topped with a chunky cherry pie filling and baked into a real buttery graham cracker crust. 8" - Serves 12 to 15. 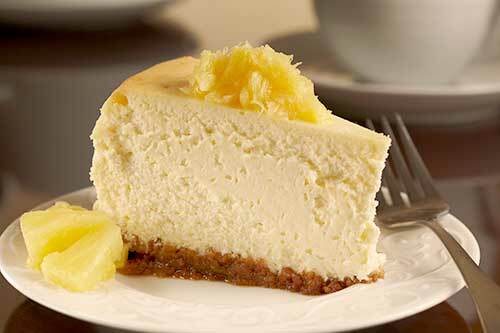 – Deescakes' traditional silky creamy cheesecake is topped with fresh crushed pineapples and baked into a real buttery graham cracker crust. 8" - Serves 12 to 15.